Today I decided to emulate one of my favorite TV personalities, Jamie Hyneman from Mythbusters and really investigate casino gaming on my iPad. It’s something that I’ve heard about for months now, but never bothered to test out. Some people claim that mobile gaming is the way of the future and highly enjoyable, and others really prefer their full-sized computers for the task. 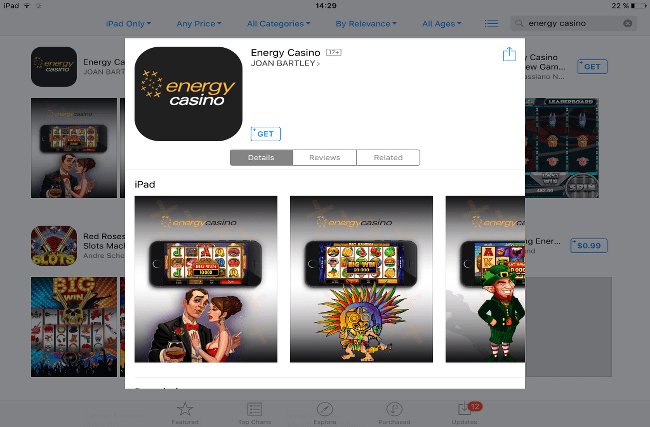 To start off my test, I went to the Apple App Store and found the app for Energy Casino. It took less than a minute to locate it on my iPad, and the download started up immediately. Just a few minutes later and I was ready to start testing out the games to see what all the hype was about. After some serious testing with the app, I couldn’t understand why the application existed at all. I’ll go into more detail about that in a moment. Both the app and the web version look the same. If you set the app version of the site next to the web version opened through a mobile browser, you wouldn’t be able to find any difference. 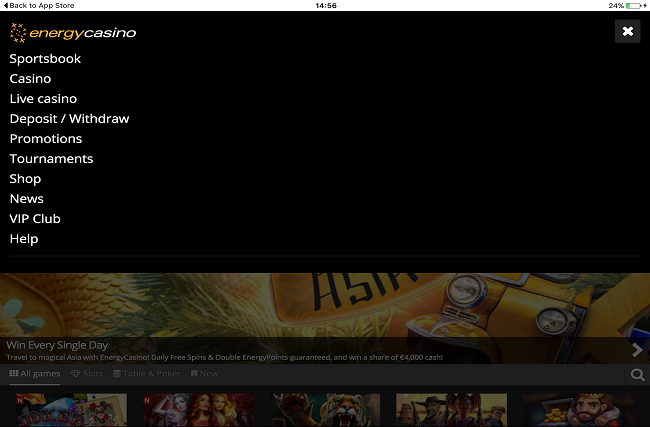 That’s right, the app is essentially a framed web browser casino that you play on your iPad. So what’s the point? Not only is the app pretty much a copy of the website. But it doesn’t run quite as well either. It was prone to crashing when I tried it. And it took four attempts before the site actually loaded up for me at all. While playing some of the games, I experienced issues with freezing and ran into regular problems that kept the game from running properly. I could get the games to work, but the experience wasn’t smooth enough to be enjoyable. Another issue that I ran into, which is quite annoying, is the app doesn’t close properly. Yeah, I can’t close it. There isn’t a close button. And instead you have to kill off the app entirely to get it to close. There’s really no reason to rely on the app when you can just access the site through your mobile browser with your iPad or any other tablet. 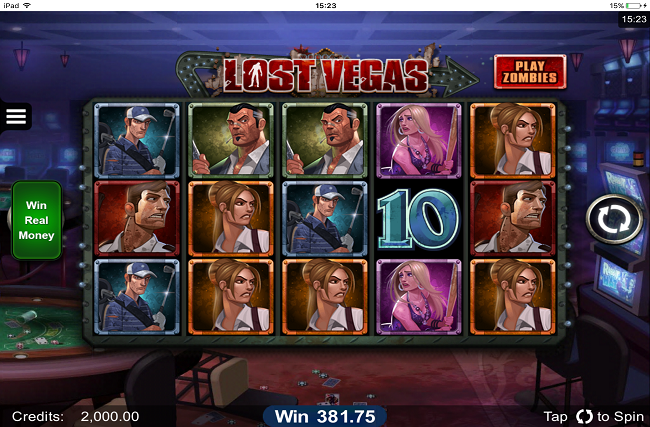 The mobile casino site runs smoothly and accessing the different games is simple, as well. The gambling house itself, like most casinos today, operates in HTML 5. Which means that you’ll experience very similar content across your different devices. Apple is well-known for not allowing Flash technology, which is why many casinos moved away from Flash and began using Html5 instead. HTML5 is a tool that makes up much of the content found around the Internet today. It allows all devices to load up different types of media. So that players using an Android, an iOS device, a Windows phone or a Blackberry can all open up the same site and play the same games with ease. It’s simple to open up the site using the web browser and to begin playing. The app isn’t much faster and the site is much smoother and more reliable. Even though the mobile site is better than the app itself, it’s still not quite up to the quality level of the full-sized computer version. Not all the games are offered and the casino is more difficult to navigate without the full-sized screen. 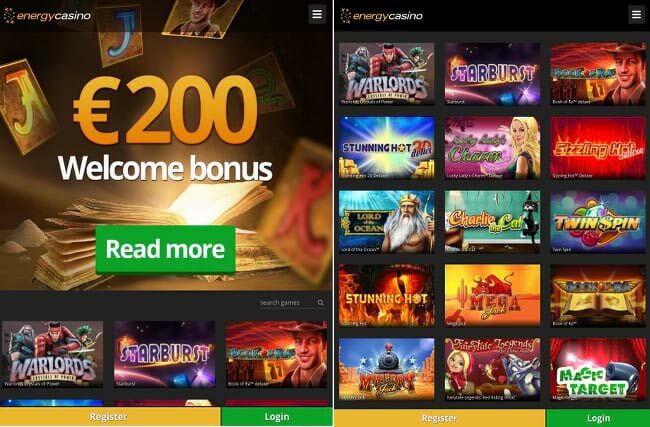 If you don’t mind these two issues, the mobile site is a pretty good way to enjoy the entertainments of Energy Casino. Registering for the casino wasn’t the simplest process. But after about 15 minutes I was all set and ready to play. Here’s the process that I went through and how it could have been a bit easier. I had to try three different passwords before coming up with one that the system would accept. I wasn’t aware that more than 7 symbols were required to create the password. 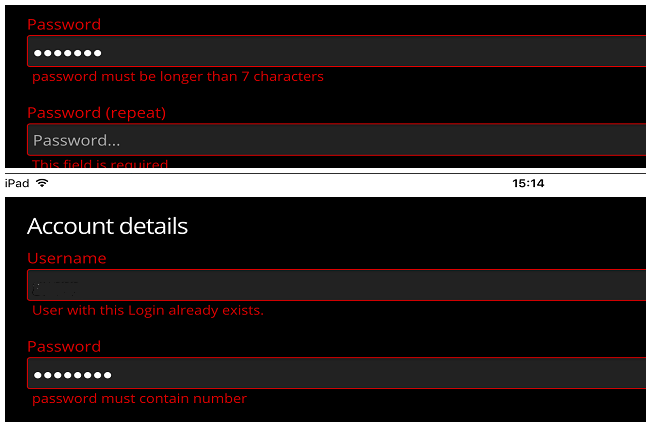 And the 7+ wording on the site is a bit confusing, since you need at least 8 symbols to make the password. Not only that, but at least one number has to be used when making the password as well, which made the process a bit slower. 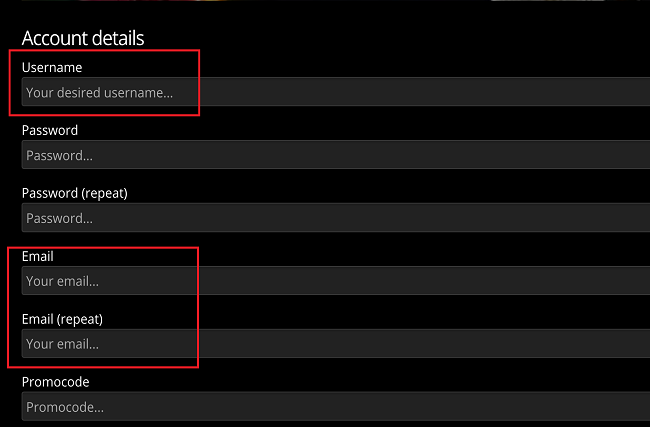 I don’t understand why the heck the site demands both a username and an email address. Why can’t you just use your email as your username? 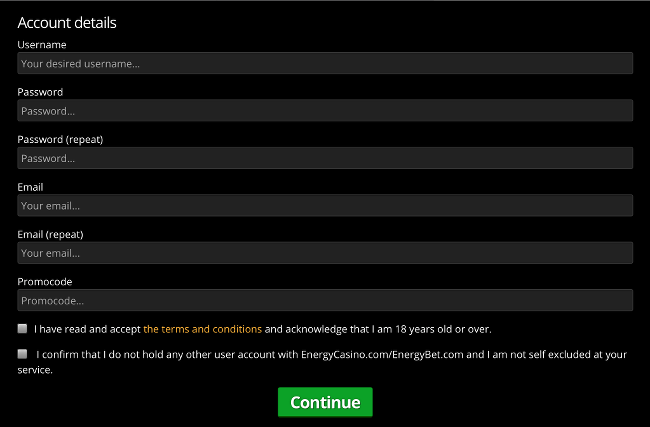 Anyway, that’s an added step that I had to go through when registering for the casino. And the username is an added detail that I now have to remember when accessing the site later on. It’s an odd requirement and something that I don’t quite understand, but overall is just a minor nuisance. This isn’t an issue really, but while playing the site games using my iPad, I noticed that most of the games were in landscape mode the whole time, but some were in portrait. Landscape is the more comfortable way to play games and I was pleased to see that most were offered in this format. The few games that required portrait were a bit awkward though, and I felt like the screen was smaller while playing these games. I decided to try out a live roulette game, to see how a game using an actual dealer would work out on something smaller like my iPad. Well, it wasn’t terrible, but the experience wasn’t as good as expected either. I played Golden Ball Roulette, and had to keep the game in portrait mode the whole time, which was a bit awkward with the dealer screen. All the controls work and are visible, and you can even open up a full-screen view of the dealer while playing, which is cool. The one major downside of this game is that you can’t quit when you’re done! There is no way to get back to the main screen, which is a huge inconvenience, because you have to exit the browser and open it back up to the page again. 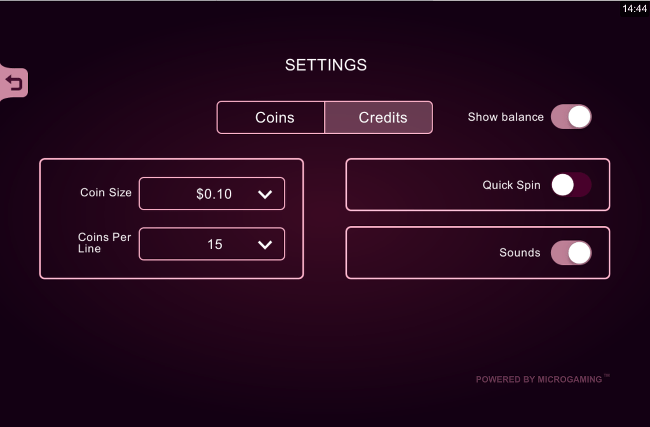 All the game controls on most Microgaming entertainments are positioned at the bottom section of the screen while you play. What that means is while playing slots, each time that I went for the spin button, there was a chance that I would accidentally hit one of the browser buttons on Safari. It quickly became annoying and there wasn’t an easy fix to the issue. 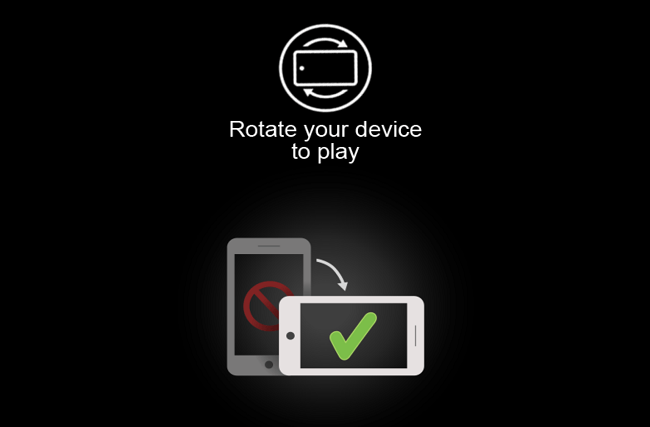 This is a point that I’ve encountered since Energy Casino in most online casinos, but it’s still something that you should keep in mind before gambling with a mobile device. What Is Great in Mobile User Experience? Now that I’ve taken the time to cover what I don’t like so much about mobile, I’m going to mention a few things that I absolutely love about mobile. Playing on the Go. With a mobile device you can play your favorite games anywhere that you are, as long as there is a good internet connection. This is very convenient. Landscape orientation. The mobile site ran most of the games right in landscape mode. That meant that the controls were large and easy to use, and the game was really enjoyable to play overall. Exciting Features still to come. Mobile gaming is the option of the future. It’s slowly growing in popularity and as more people move to mobile, casinos start working harder on apps and mobile support. It means that new and exciting features will continue to come out and mobile gambling is only going to get better over time. There’s plenty that Microgaming, and other casino developers for that matter, needs to improve when it comes to mobile gameplay. That doesn’t mean it’s a bad way to gamble though. 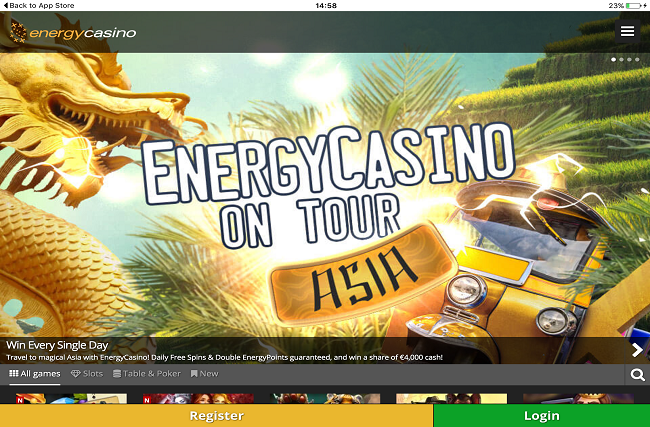 While I probably won’t use the Energy Casino app in the future, I still bet on the site using my iPad on a regular basis. It’s so convenient, and allows me to play my favorite games on the go. 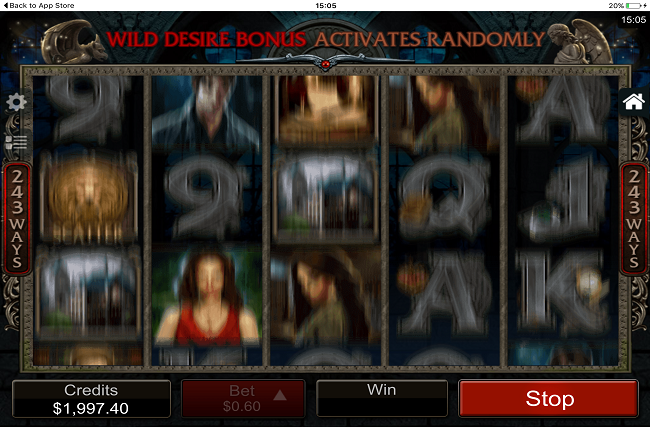 If you’re looking for a convenient way to gamble on the go as well, try it using an iPad or another decent mobile device. You’ll probably enjoy yourself more than you expect.